Last year’s big Beats announcements revolved around the addition of the W1 chip, the first real collaborative addition to the hardware line since the company was picked up by Apple in 2014. The quick-syncing wireless chip is back for the newly announced Studio 3 over-ear headphones, but active noise canceling is the story the Beats is really looking to tell here. I had the opportunity to try the headphones out recently, and the company made it pretty clear that it’s looking to go after one particular brand this time out. While the company probably won’t come right out and say it, I feel pretty confident that it rhymes with “nose.” Of course, that’s precisely the white whale that everyone in the space chases. There are, after all, plenty of players in the noise canceling headphone space, but one really really has it on lockdown. 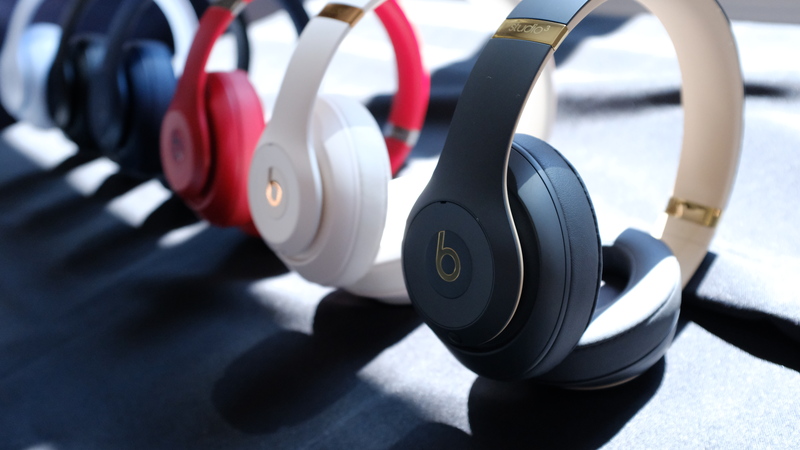 The key difference for Beats right out of the gate, however, is that the company has always fancied itself a broader lifestyle brand. So it follows that it would be seeking to offer noise cancellation that extends beyond the relatively controlled hum of a Boeing 737. Noise canceling on the headphones is actually adaptive, using on-board mics to listen to ambient sound and “us[ing] advanced algorithms,” block it out accordingly. I was given a demo of the headset using a variety of different sound sources, and the Studio performed admirably. There’s a five or so second lapse as the headphone actively listens for changes in the environment, and then it slowly kicks in. The technology doesn’t drown sound out entirely, but it does a solid job, even with the staticky sound of wind hitting the microphone from a nearby desk fan. Of course, these were all still relatively controlled demoes, so I can’t speak to how the things work in the real world. Aesthetically, the headphones have continue to evolve, as well. The colors are subtler this time out, a nod perhaps, to a company looking for people to take it a bit more seriously, as it grows up from its bombastic roots. Beats has also been taking pains to offer a more balanced sound than those early days when it had the tendency to overcompensate with pumped up bass. Other highlights include 22 hours of battery life, which should more than get you through the world’s longest flight. The Studio 3 are available starting today for a pricey $350.